Size approx 7cm across, I can make them bigger by request. 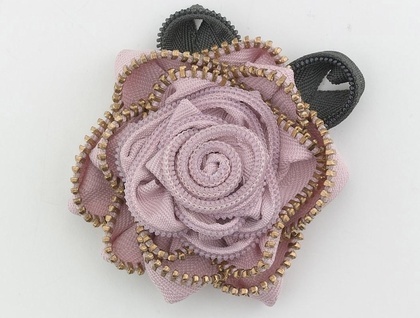 Antique roses are made from a selection of coloured zips carefully hand sewn together to make a rose. The inner petals are made from regular zips and the outer petals from metal tooth zippers, which lend a bit of special sparkle and jewel like qualities. They can also be converted to a hairclip or headband just ask. 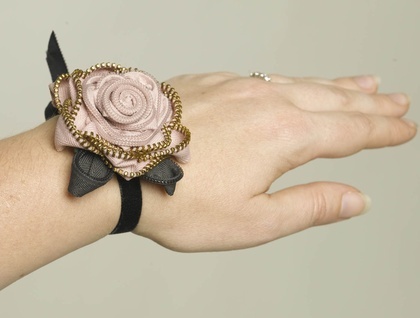 You can pin them to piece a velvet ribbon and wear it as a corsage on your wrist!